Trade shows are a great way to score potential leads and clients, but just showing up is not enough. In today’s competitive marketplace you need to do everything you can to ensure your success. Build it and they will come is not a solid strategy. Yes, trade shows provide you with a ton of traffic and can put your brand in front of the right people but why leave everything to chance? When exhibiting at a trade show, it’s always a good idea to do a little pre-show marketing. Let your customers, your potential customers, and your best leads know that you’re exhibiting at the show. Send out emails, direct mail pieces, mention it on your website and let everyone in your social networks know about the show. Tell them where your booth is and give them a reason to stop. 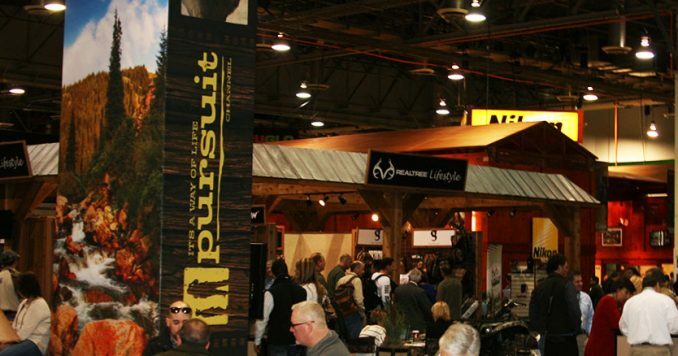 Have you ever walked up to a booth at an expo and wondered…. what exactly does this company do? If your booth doesn’t attract attention and instantly tell the attendee who you are and why they should buy your product then why are you at the show? Your booth needs to do more than display your company name. It needs to help you sell the attendee on what you do and why you are the right company for them. Let’s face it, even at the best trade shows, there are a lot of people who troll the aisles looking for swag. While a lot of these people are just looking for free junk to fill their bags, there are a couple of reasons that you need to have some sort of takeaways at your booth. There is no way you can talk to everyone who passes by your booth. Having a takeaway can help capture leads that you may have missed. They attract people to your booth. Yes some bad, but the good usually outweigh the bad ones. You never know where your materials will end up. Many attendees are sent to the show just to gather materials on potential vendors. By not having takeaway materials you are missing out on potential sales. Do you need help with your upcoming trade show or exhibit?